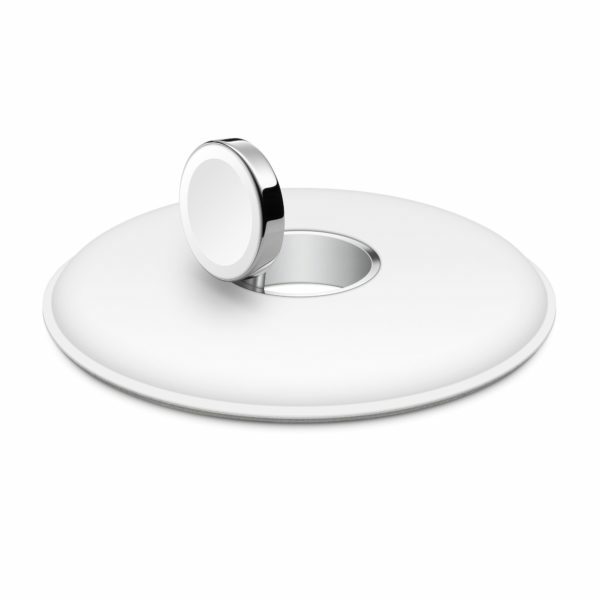 With the Apple Watch Magnetic Charging Dock, you can charge your Apple Watch in a flat position with its band open, or on its side. 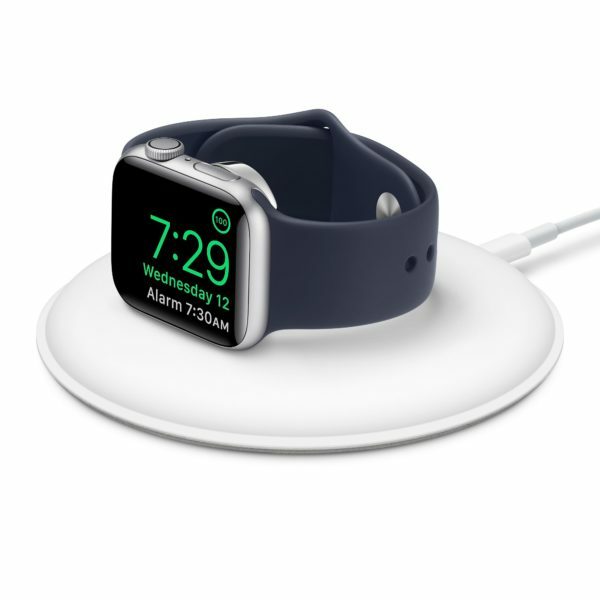 When docked on its side, your watch automatically goes into Nightstand mode, so you can also use it as your alarm clock. The Apple Watch Magnetic Charging Dock uses the same inductive charging connector that comes with Apple Watch. It charges all Apple Watch models and sizes. And it connects via the Lightning to USB Cable and Apple 5W USB Power Adapter.